Here are some images of the new 8×8 guest book. There are many different leathers and fabrics to choose from. You can still order the traditional black leather, but if you want to be adventurous there are endless color combinations available. 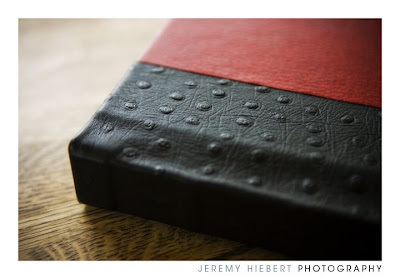 This album shows a textured black spine with a hand-finished, aged red leather cover. 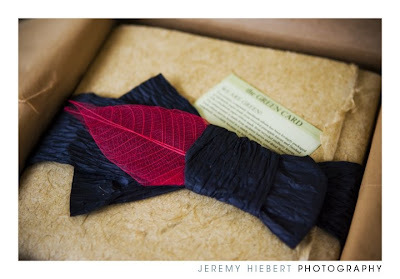 All albums are custom made and are a great way to showcase your images. 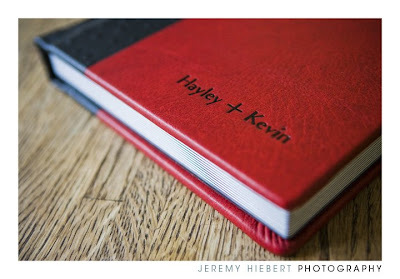 You also have to option to order a larger version for your wedding album as well.